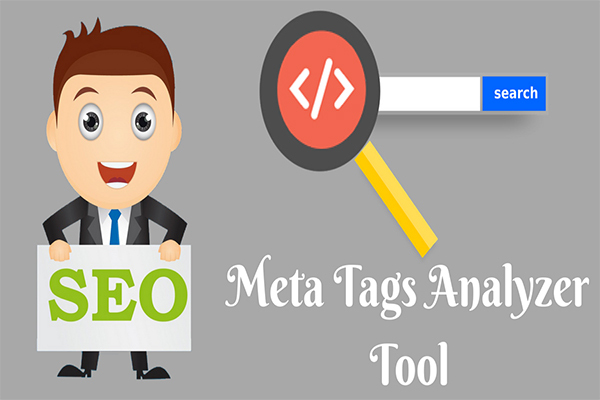 Meta tags analyzer does not cover any advanced features but it provides basic information of meta tags like title, description, keywords to analyze the site is optimized for on-page seo factor or not. Because it will help search engines to understand your webpage and index accordingly, this tool will give value to webmasters a clear idea on meta tags used in the site. The meta tags cannot be seen directly by the user, because it can be seen only at the backend. Because meta tags are available at the backend in HTML format and appear after head tag. Meta tags are the primary source for the search engine to know about your webpage and help the user to understand page easily. If meta tags like title and description are not updated properly, it would result in lower CTR and pageviews. What is Meta Tags Analyzer Tool? Meta tags are the basic HTML elements like title, description, keywords and much more especially used in search engine optimization technique to help search engines to understand the webpage and boost organic traffic to your site. Meta Tags Analyzer is a free seo tool to analyze meta tags of your competitors or any other site. The tool gives you a detailed insight into metadata (title, description, and keywords) to check and optimize accordingly on your site. If not updated properly, the tool shows 'not updated' message of missing meta element. It checks whether your meta title, description, and keyword tag are placed properly or not and alerts the user about missing seo elements. The meta tags or metadata can be used by all browsers to help users, search engines and another third party (facebook, twitter, google+ etc) understand about the webpage. Meta tags analyzer provides a clear view of meta tags which helps to gain traffic and rank on top of search engines. So we recommend using this free tool all the time. How Do Meta Tags help Seo Rankings? We know meta tags are one of the important seo element which plays a key role in seo ranking. It helps to rank your web pages, but not every time. Because other seo factors also matter in keyword ranking like content length, site structure, interlinks, keywords in content, and much more. Search engines like Google, Yahoo, and Bing use meta tags to help the user understand about the webpage. Not only these search engines use these meta tags, but also other local search engines uses to rank higher on their search results. If the site ranks top of search results, means it has a better chance to increase traffic and sales. Title: The title tag is a seo element which specifies the title of a page. The search engine displays the page titles on search results and it is easily clickable. The current page title length is around 70 characters if it exceeds the characters will be trimmed off. Title tag plays an important role in click-through rates (CTR), usability and rankings. Description: The description meta tag shows a brief description of your page, the main purpose of this tag is used to display on search engine where the active users read on the search engine results page. It does not have a major impact on ranking but shows a slight variation in rankings. If a proper description ad copy is created, it would improve CTR and boost organic traffic. Currently, the minimum description tag length to optimize seo is around 160 characters and it can go up to 320 characters maximum on a search engine. So add more description in detail with keywords for better rankings. Many people say that meta description has no direct impact on rankings, but using right keywords and giving valuable information will improve CTR( click through rate). Google gives preference to CTR and improves page ranking in search engine results. The keyword meta tag is a seo factor appears on backend HTML code of a webpage. Keyword tag tells us to use proper and relevant keywords without stuffing. In earlier days, keyword tag is one of the most popular to improve seo ranking on search engine results page. Many people used to take a lot of advantage of this tag and became blackhat seo, so google algorithm consider no longer importance of this tag. You may ask when search engines won't consider as part of the ranking, then why do we need it? The reason still to use this keyword tag, it will help smaller search engines and other local search engines to analyze your site with keyword tag. How does Meta Tags Analyzer Tool works? Once the visitor identifies the tool on the search engine, he clicks and visits the right page. There he pastes the required URL on the textbox to be analyzed meta tags, then followed by captcha code and click submit button. The tool will run in the background automatically by crawling respective website or webpage meta tags accurately and displays information to the user. It is very simple to use without any registration of the account. Why do we need Meta Tags Analyzer? Meta Tags Analyzer helps the user to analyze how the meta has been displayed in the search engine. Coolseotools offers this free handy tool for analyzing any website meta tags without restrictions. Either you can enter a main website or subpage to analyze it, since it is a free tool and available all the time for the users. How to use Meta Tags Analyzer? The meta tags analyzer is very simple to use, just you need any competitor URL to analyze what type of keywords are used in meta tags and how the meta tags are implemented? Once the website is added and submitted, the tool gathers information of metadata for the requested website or webpage without any hurdle. You can check an unlimited number of sites or web pages on our free tool. 1) Meta tags analyzer is completely free to use for a lifetime without any limitation. 2) The tool helps you to analyze meta tags of a competitor site on how they are implemented on the webpage with a keyword to gain more understanding of competitor site. 3) Actually, it does not affect your page anyway but helps all search engines to crawl pages easily and boost website traffic. 4) Meta tags analyzer helps the user to understand meta tags on what the website or webpage is about?